The statistic depicts the results of a survey concerned with what kind of apps people have used during a vacation. 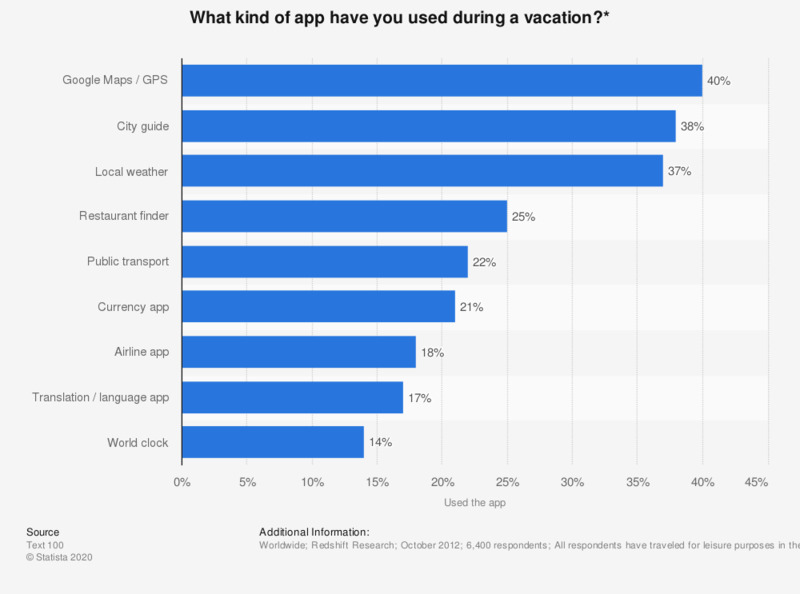 38 percent of the respondents said that they have used a city guide app while on vacation. * The source does not provide detailed information regarding the questions. The chosen wording here might therefore differ slightly from the survey. Have you cancelled vacation plans due to budget issues? In total, roughly how many miles do you typically travel getting to and from celebrations during the holiday season?